If living independently is becoming more difficult or, as a caretaker, you no longer feel scheduled at-home visits meet the needs of your loved one, it’s time to consider assisted living at Chestnut Glen Senior Living in Saint Peters, MO. Our community combines gracious accommodations with professionally licensed support services for a truly inclusive environment that puts people first. 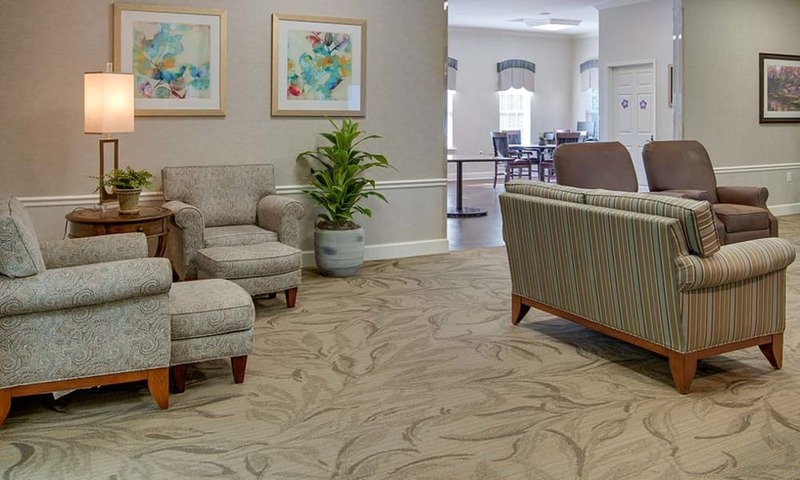 When you choose to make one of our assisted living apartments your new home, you will be treated to a comfortable private or semi-private suite complete with everyday comforts including a full, private bath and air conditioning. Each of our senior apartments also features an emergency call system so you can rest easy knowing we’re here for you when you need us. At Chestnut Glen assisted living, we offer residents of our assisted living community personal assistance 24 hours a day. Whether you need bathing and dressing assistance, help with medication management, or simply a shoulder to lean on, our caring staff is here to help with a smile. It’s time to find yourself in a happier place.